In this video we are going to demonstrate that at the very minimum the authorities had prior knowledge of the attack and allowed it to happen, and this is only the tip of the iceberg. You can make the argument that this is a lighter color than Tamerlan’s bag and you can also wonder why it is that it seemed to have audio cable in it as if it’s just one of the techie’s bag from the set-up of the finish-line PA system or TV cameras. You can make that argument, but for the sake of suspended disbelief, let’s say it is indeed Tamerlan’s bag and the bag the bomb was in when Jeff lost his legs. We’ll give the official story a mulligan on that one. If that is the dark bag carried by the two brothers, over next to the site of the first bombing, then the only bag left to be at the scene of the second explosion is the one being carried by Dzhokhar Tsarnaev. And indeed, that is the official story. Here is a picture of what is being hailed as an image of Dzhokhar Tsarnaev “dropping” his pack which had the bomb in it. What you see is not a man “dropping” a bag. What you see is a man CARRYING a bag while walking by. Notice, right above the girl’s shoes you can see the bottom of the bag. It is suspended in the air, not touching the ground. Look at how it’s suspended at an angle. It’s being carried by the strap, the right strap, in his left hand. Look at how he is moving past the people, on his way somewhere. And more importantly, look at where he is in relation to the iron grate and the metal security fencing. These facts will be important in a second. Also note the light color of the pack as consistent with the image from before. There is an image that is not circulated that much anymore because it tells a very different story than the official one. The image below shows the moments after the second bomb detonated and the location of several key pieces of evidence including what is claimed to be the bag that was carrying the second bomb. This is an important image because it clearly shows the blast pattern of the explosive which was placed in front of the fence beside the mailbox, as you can see by the locations of the fence and other debris just after the blast. There is no question where the detonation took place. In fact, a bystander has recently given an interview claiming his life was saved by the mailbox. If the bomb had been place behind the fence and behind the mailbox on the sidewalk, no bystanders could make that claim, only runners. But leaving that for a minute as it goes to witness statements and this is about hard evidence, let’s get back to the evidence. This bag is in the exact location of where the bomb had to be placed. It is a large enough bag to hold a backpack and a pressure cooker, though it is not clear if the second bomb was actually made with a pressure cooker. But look at the location and then look at this. We can see from the blast wave of the explosion that something close to the detonation blocked the blast at a single point and forced more of the energy onto the sidewalk and down the street. That would be the mailbox. Look again at the location of that bag. I am not saying that bag was the bomb. It may have been, but I am saying that bag is in the location the bomb was detonated. It went off IN FRONT OF THE FENCE and BESIDE THE MAILBOX. Part of one section of fence is wrapped around the mailbox. The other section is blown back into the crowd and on the sidewalk as you see. Were the bag to be partially under the fence as appears in the photo of the bag in front of the fence, that could easily be the result. 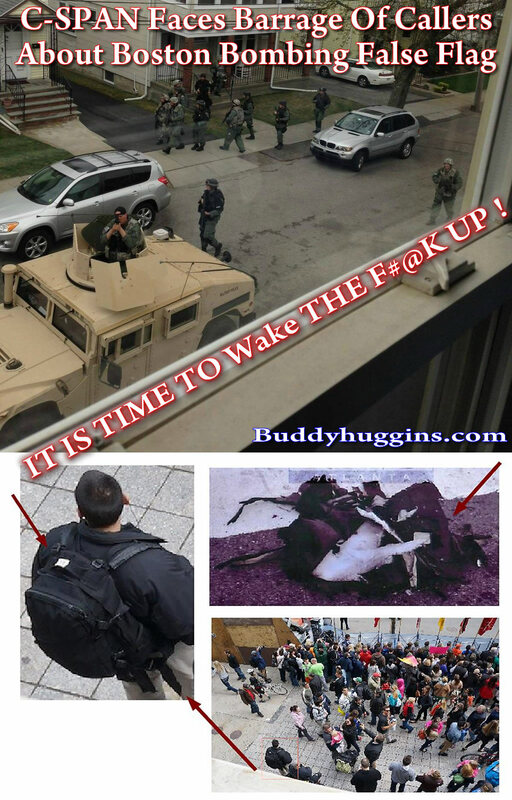 That is NOT the location the Feds claim they show Dzhokhar Tsarnaev “dropping” his pack. Had the bomb gone off where he was and where that image shows him CARRYING his pack, then the fence would have been blown into the street. Now, let’s look at the evidence of the pack itself. As the image above shows, part of the pack was found in the street. Shape charges inside the pack would have done that if it was placed on the street side of the fence.This is a close-up view of the bags side by side. Remember, the dark bag owned by Dzhokhar’s older brother has already been accounted for in the official story. So the only bag left is the light grey one carried by him. As you can see, these two things are not the same. Not even close. Here is an official image which puts the bomb’s pieces right there on the grate as shown in the image of the bag in front of the fence but not where they claim Dzhokhar dropped his bag. Again, this is their evidence. Lastly, this grisly photo of the blast scene. Bodies blown back, fence blown back toward the sidewalk and the restaurant. So as you can see, the official story clears Dzhokhar. Remember that I told you the official story was they had a video of these brothers standing around watching the carnage before slowly and calmly walking away and that they have not produced that visual evidence as of yet and seem to be walking that story back? His right arm is down, straight down, while his left arm is bent and his left shoulder is raised as he is running. He is carrying something… he is CARRYING HIS BAG. The bomb has gone off and he is fleeing like everyone else and apparently he is carrying his bag. Is that Tamerlan trying to catch up with his brother after the explosions? The hat matches, the pants and shoes match. The jacket matches. Is that is Tamerlan running from the scene and not walking away like the officials claimed they had a video of him doing? This image is less convincing that the others in the sequence but I will put it here for the sake of discussion. It is part of someone else’s photo essay on the subject which I highly recommend taking the time to have a look. The official story itself does not prove these brothers set off those bombs. You don’t need the “conspiracy theorists” to tell you that. All you have to do is look at the evidence they themselves provide. Consider all the dishonesty they have displayed thus far and their own evidence. 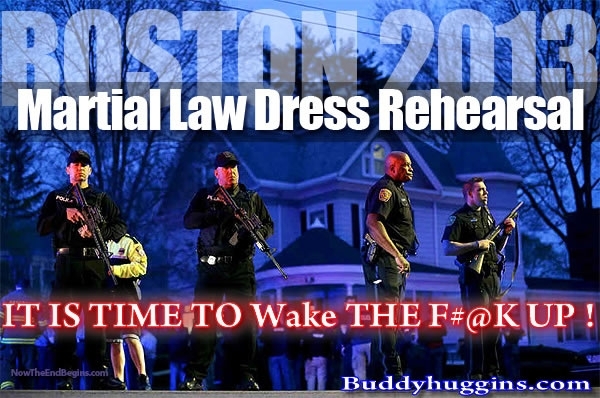 Total Proof Boston Bombings Were A False Flag! It took a while but the Feds finally came clean to having prior knowledge of deceased bombing suspect Tamerlan Tsarnaev. They also had his mother on a terrorist watch list. A Must SEE! and Share with ALL YOU KNOW! !